We report an investigation into processes of change in a randomized controlled trial of Stepping Stones Triple P (SSTP) and acceptance and commitment therapy (ACT) for families of children with cerebral palsy (CP). 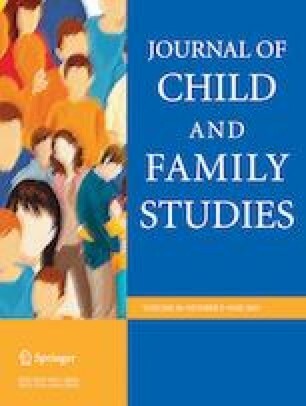 In comparison with the control group, the SSTP-only group showed improvements in child behavior problems and emotional symptoms and the SSTP-plus-ACT group showed benefits in child behavior problems, child hyperactivity, dysfunctional parenting styles, child functional performance in the mobility domain, child quality of life, and parental adjustment. Sixty-seven parents of children with CP were randomly allocated to one of three groups: waitlist control, SSTP-only and SSTP-plus-ACT groups. We investigated three potential processes of change: parenting style, parental attitude to child emotion, and parental psychological flexibility. We used bootstrapping to perform the mediation analysis. Contrary to the existing literature, we find that neither dysfunctional parenting styles nor parental attitude to child emotion were significant mediators of the intervention effect on child behavior and adjustment. Consistent with existing literature, we find that psychological flexibility mediates the intervention effect on dysfunctional parenting styles (overreactivity confidence interval [CI] = −0.4750 to −0.115) and parental adjustment (depressive symptoms CI = −6.5641 to −0.5922; stress CI = −6.0546 to −0.4195). Overall, our findings support the conclusion that ACT makes a unique contribution to parenting intervention. Australian New Zealand Clinical Trials Registry (00336291). This work was supported by a National Health and Medical Research Council postdoctoral fellowship (K.W., grant number 631712); a National Health and Medical Research Council Career Development Fellowship (R.B., grant number 1037220) and a Smart State Fellowship (R.B). K.W. designed and executed the study and led the data analysis and write up of the paper. M.R.S. and L.M. collaborated on the design and the write up of the study. R.B. collaborated on the design and the write up of the study, and provided mentorship throughout. Stepping Stones Triple P is owned by The University of Queensland and sublicensed to Uniquest, The University of Queensland’s Technology Transfer Company. Professor Sanders is a co-author of the Stepping Stones Triple P program and receives royalty payments from the publisher Triple P International in accordance with The University of Queensland’s Intellectual Property Policy. Dr Whittingham and Dr Boyd are both employed by The University of Queensland. Ethical clearance was obtained from the Children’s Health Queensland Human Research Ethics Committee (HREC/09/QRCH/125), the University of Queensland Behavioral and Social Sciences Ethical Review Committee (2009001871), and the Cerebral Palsy League of Queensland Research Ethics Committee (CPLQ-2010/11/1033). All participating parents provided written consent.